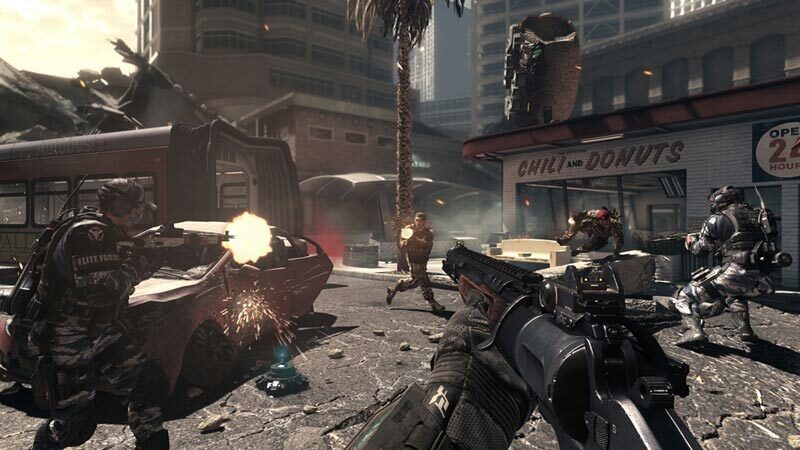 Call of Duty: Ghosts is another prodigious entry into the immensely-popular first-person shooter franchise. It features several great new multiplayer modes, including the football-esque Blitz and fast-paced Grind, plus numerous impressive tweaks and additions. Extinction, a mode that wasn’t even announced until days before release, alone could easily eat up tens of hours of time as players quest to save the world from aliens. There is still a ton of depth for vets, with a new expanded perk system that lets you mix and match perks from all categories, tons of new game modes such as the fast-paced Cranked and Blitz, and the ability to build a near invincible squad and watch it climb the leaderboards without you even playing! I could talk forever about what each new gun handle is like and how each new map plays, but then this review would get way too long. 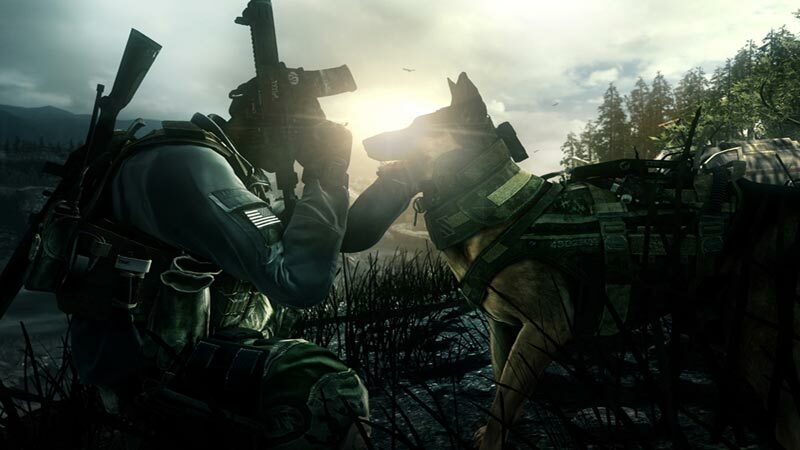 So let’s just say that Call of Duty: Ghosts is a worthy title for kicking off the Call of Duty franchise on next-generation consoles… and it has dogs in it! Contrary to the old saying, you can teach an old dog new tricks. Black Ops II demonstrated that with style. Ghosts, however, is a dog that simply doesn't want to change. It knows what it is, and sticks with it. It would be a respectable endeavor, if it didn't lead to such an underwhelming and predictable little product. What a sleepy, sleepy dog. 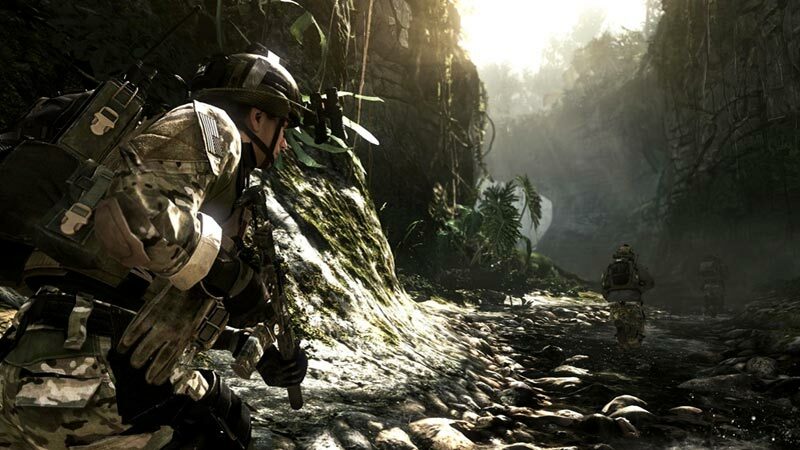 Ghosts offers the same style of video game combat that Call of Duty has had since 2007. The core of it is still engaging and can be very thrilling, if you're receptive to this type of action. 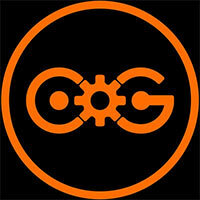 In fact, it's still my favorite online multiplayer shooter. But the bells and whistles surrounding the game are muted and missing, leaving behind that same core without giving you enough new and exciting reasons to come back. 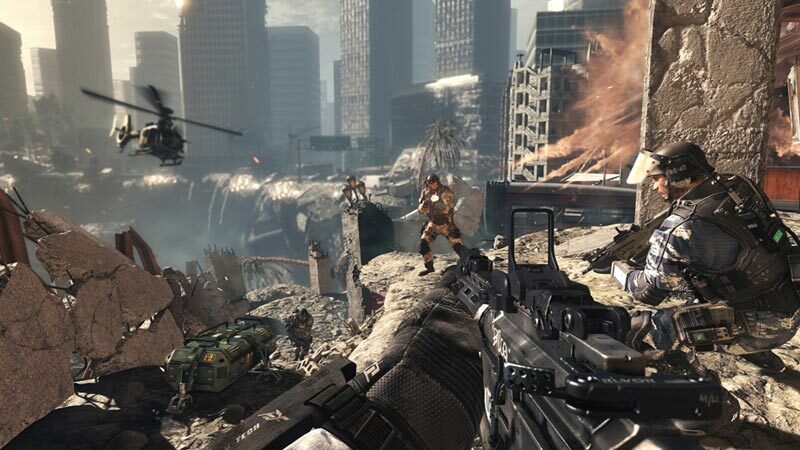 Even with the improved graphics to be had on next-generation consoles, I'd rather play Black Ops II. To some, the proposition of “on-rails” first-person shooting is too limited, but to others, it’s the perfect outlet to turn off your brain and let this rollercoaster take you for a ride. Call of Duty: Ghosts is a finely-tuned game that offers loads of quality entertainment for those interested, it just isn't reinventing the wheel. From a story standpoint the single-player campaign is less ambitious than Black Ops II and less effective, despite several cool, fun moments. But wow, volume of content, tight multiplayer, and interest in Extinction, Ghosts is classic Call of Duty. How the multiplayer pans out in the competitive gaming space will be interesting to see, but with Clan Wars and modes you won’t be lost for options to keep you entertained until Call of Duty Next. Whatever that will be. 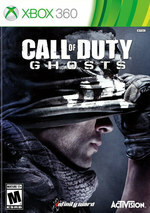 Simply put, Call of Duty: Ghosts is a game that pushes the franchise forward, especially in the multiplayer department. That giant leap we saw when the original Modern Warfare game touched down is not quite there, but yet in a time when the development team had to stick handle a game what would be a released on 5 different consoles (Wii U, PS3, PS4, Xbox One and Xbox 360), Ghosts is an impressive feat. It's wrong to try and compare Call of Duty to Battlefield. While both live for the multiplayer, Call of Duty relies on an incredibly intense, if not necessarily realistic, experience. Battlefield is completely different in its approach and play style. What fits yours will dictate where you'll want to wage your next year of digital warfare. As far as Call of Duty: Ghosts goes, from our time with the game, it's hard to find something else that offers so much to the player. Ghosts is the complete package. 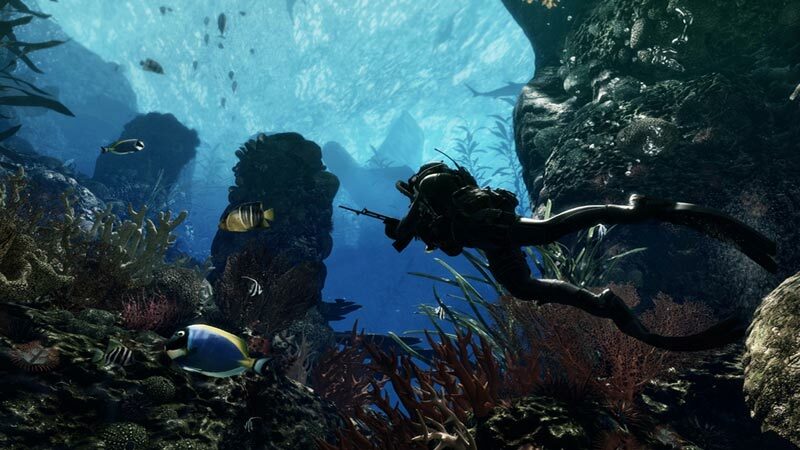 In the end, Call of Duty: Ghosts feels like a flogged horse. With a poor overall campaign and a multiplayer mode that’ll only really appeal to current COD fans, there’s not a lot of life in the old mare. Thankfully, Call of Duty was once a prime stallion and this shows in many elements of the game. The multiplayer is still great fun, especially once you’ve spent some decent time with it and the campaign has moments of brilliance as well as one of the best animals in a video game to date. Así en lo off-line cumple sin más con una campaña muy genérica, y una fórmula jugable que requiere nuevas ideas para mantener su poder en el género shooter. Pero en su poderosa ración multijugador, sin duda, ofrece exactamente lo que buscan sus amantes: que tendrán diversión con creces gracias a sus nuevas modalidades y mapas y a su adictivo componente jugable. Extinction mi ha sorpreso per il divertimento offerto e per il livello di coordinazione e strategia richiesto per essere affrontato con una speranza minima di successo. Il comportamento degli alieni è “credibile” e non sono semplice carne da macello in attesa di essere massacrati dai giocatori. 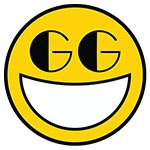 L’unico, grosso neo di questa modalità è rappresentato dall’unica mappa disponibile con il gioco al lancio. Sicuramente ne saranno aggiunte altre coi DLC futuri, ma sarebbe stata gradita un po' più di varietà fin da subito.